Milinkovic-Savic is one of the most complete midfielders in the world. The 'Iconic Serbian' has had a lot to offer, as with his tall stature and strength, Milinkovic-Savic is one of the rare talents who has been chased by the likes of Manchester United, Real Madrid, and Barcelona. A complete package is what he really is, as he holds the versatility and the ambidexterity to deploy himself both as a central midfielder and as an attacking midfielder, often switching to a deeper role. In addition, the Serb can also play as a defensive midfielder totally depending on the situation. 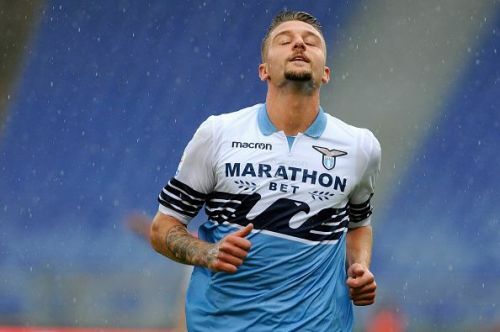 With the January transfer window being the next stop for the biggest names in all of Europe, Milinkovic-Savic can surely become one of the most expensive signings as multiple clubs have had eyes on him for a long time. While he can be a threat to the opposition, he can also develop some of the best plays the world has ever seen.